I’ve picked on the TX long enough..
Well! I’m wondering why she thought this was a good look. 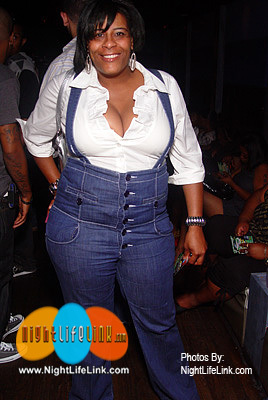 From that shirt bust down the middle to them ill-fitting pants…UGH UGH UGH! I bet she thought she was hot though..
Yooooooooo! 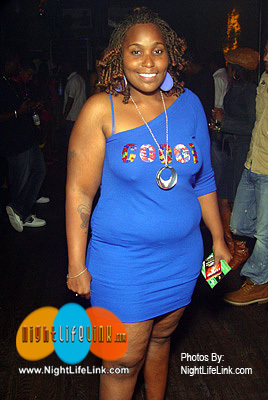 Her dress does NOT say COO.GI does it with the shoulder out. I’m so mad at her. Whenever you shaped like a “S” from the side, please invest in a body gurdle. 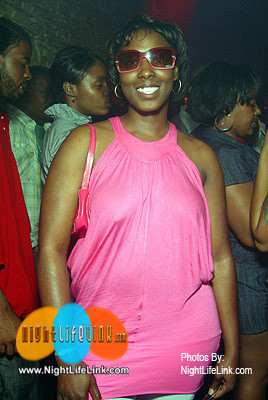 And afta alla that this bytch decide she not gone wear a bra.. *so done*. Seriously I don’t understand at all. Umm??? If yo tiddays don’t make 2 perfect U’s then why you in public with no bra? Why her purse and glasses match her shirt? I see how Chi Town do!!! Y’all country as fuk. I’m just sayin..